Inheritance in medieval times could be a very complicated thing. Here, for example, is the story of part of William II de Breos' inheritance. In the early part of the twelfth century, William de Braose (or de Breos) married Bertha, the daughter of Miles of Gloucester. While this was an advantageous marriage in terms of links to a wealthy family, it was not expected to bring William any land. Miles was Earl of Hereford and lord over Brecon, Upper Gwent, the Forest of Dean and other lands. Miles had four sons, as well as three daughters. The tradition was for the eldest son to inherit when the father died, but if he then died it would pass to the next son. With four sons, one of them would certainly inherit when Miles died. At the end of 1143 Miles died unexpectedly, while still in his prime. His eldest son, Roger, became the Earl, but was deprived of the earldom of Hereford for treason in 1155 and died within a few months. Miles' second son Walter inherited, but died about 1170 in the Holy Land or on the journey home. Both died without heirs. The third son Henry was certainly married, but he too died without children. He was killed in 1175 by Seisyll ap Dyfnwal, the leading Welsh chieftain in Gwent Uwchcoed. 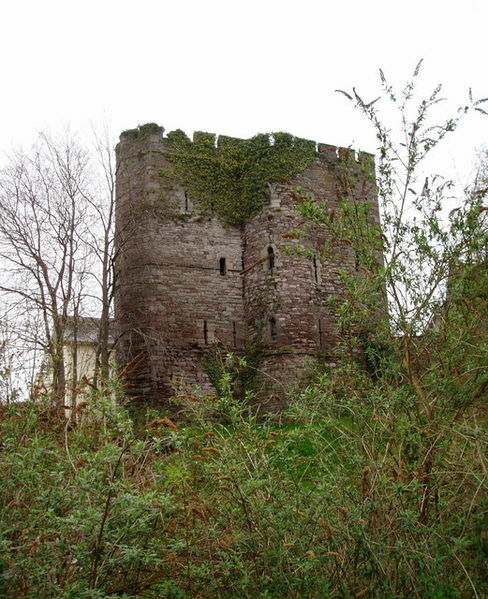 The youngest son Mahel never inherited as he was killed in 1165 by falling masonry from the burning castle of Bronllys. So the land passed to Miles' three daughters, Margaret, Bertha and Lucy. Margaret married Humphrey de Bohun, himself a wealthy and powerful man, and inherited Hereford. Lucy married Herbert fitz Herbert and inherited the Forest of Dean and other lands. Bertha's marriage to William de Braose brought him Brecon and Upper Gwent, which, added to Builth and Radnor that he already held, gave him a solid power block of land in the Middle March. His son William III took revenge on Seisyll ap Dyfnwal for his uncle's death, which caused public outcry, but William III later took over his father's lands and added to them, becoming the most powerful member of the family ever. Until he fell out with King John. For more on this story see my book Broken Reed: The Lords of Gower and King John. Available in Kindle ebook and print on Amazon UK, Kindle ebook on Amazon US, and all other ebook formats on Smashwords. Or get the print copy direct from me for £4.99 postage free!